In my last post I described changes in collections and the debt purchase market as banks focus on non-performing loans (NPL) and non-performing exposures (NPE). Now let’s look at what should be happening — but isn’t. 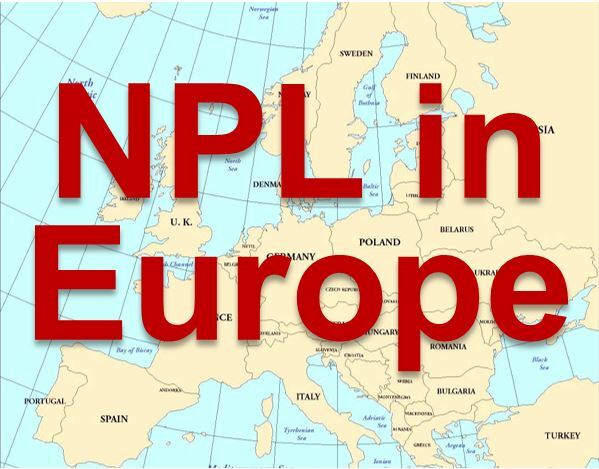 NPL and NPEs can’t be considered in a vacuum. Banks face huge challenges over the next two years, and nearly all bankers view attracting new customers and retaining existing ones as top challenges. Banks also recognise the need to deepen their customer relationships and focus more on specific customer outcomes. This means NPL strategies must not only serve the bottom line, they must serve customers, and this is an enormous challenge. It’s one area of NPL where banks have not really caught up with the capabilities provided by today’s analytics and decision automation. NPE and NPL analytics driving clear retention and exit strategies. An absence of clear retain and exit strategies has been prevalent for many years. It is worrying and somewhat surprising that there is not greater progress into knowing, at all times, whether a customer, should they change status, will or will not be retained by the creditor and if they are to be retained on what revised conditions. Dialogue taking place for the assignment of performing loans. Who will be the main purchasers or servicers of the non-performing forborne loans? Is that something that has been identified and planned into future contractual and physical extension of a creditor’s operating model? Customer journeys being defined for exit of good customers. There is a lot of progress being made — and much more needed — to reach a ‘right outcome’ for customers and improve the customer journey. However, we see little evidence that the journey for many of these accounts, when restructured, will now necessitate sale and assignment to another institution or SPV. Policy changes for the return of exited customers. These need to place the Lifetime Credit Loss bearing customers ‘off the books’ will increase customer attrition. Very few organisations in increasingly saturated markets have assessed the implications, or considered under what circumstances they will welcome back customers in the future. It’s a policy of a few institutions today but will likely need to become common practice for the analytically sophisticated in the future. Widespread use of advanced analytics and optimization, specifically for restructure and placement. Few organisations have equipped themselves with analytics and technology capabilities to maximise restructure take-up at optimal post-restructure default rates. In the past a lack of analytic precision was affordable; it’s questionable whether living with such constraints will be so going forward. Organisations will benefit from standing back from the BAU and determining how their analytics and technologies, which identify and support the management of distressed customers, need to change to ensure they secure that competitive advantage. Over the past few years, collections has become much more customer-centric and some of the programs and innovations implemented to achieve higher levels of return on forborne debts have been very impressive. Unfortunately, such examples are few and far between. Need is the mother of innovation and now is the time to manage NPL and NPE better than ever before for our customers, organisations and shareholders. In this short video, recorded at NPL Italy event last week, I discuss how FICO can help.